There are indications that the absence of President Muhammadu Buhari is already causing a rift among his top aides. Two of his aides, Minister of Foreign Affairs, Geoffrey Onyeama, and the Senior Special Adviser to the President on Foreign Affairs and Diaspora, Abike Dabiri-Erewa are currently enmeshed in a battle of supremacy over the new immigration law introduced by US President, Donald Trump. Dabiri had on Monday advised Nigerians to postpone their US travel plans until the country's new administration's policy on immigration is clear. She said the warning became imperative due to series of reports received by her office. But less than 24 hours after Dabiri’s directive, Onyeama has countered her. The minister said that Nigerians who have United States valid travel documents are free to embark on their trips. 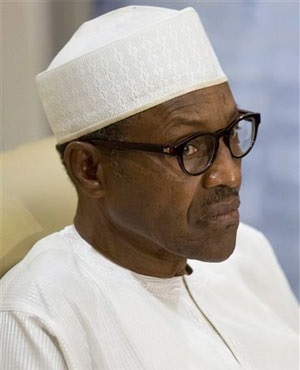 He urged Nigerians to dismiss any report asking them to postpone their US trip. He stressed that it is only the Office of the President and the Ministry of Foreign Affairs that are credible sources of information about Nigeria's foreign relations. The minister said he had spoken to the US ambassador to Nigeria and high level US officials who said nothing of such had happened," he said. He said Nigeria is not among the countries currently under US travel ban, noting that both countries enjoyed cordial bilateral relations.